Blue Dog RV Customer Value grows: Now when you purchase a RV from Blue Dog RV not only do you get to choose from over 80 brands, pick from an average of 1800 RV’s, or shop at any of 11 Sales locations (soon to be 12 locations). 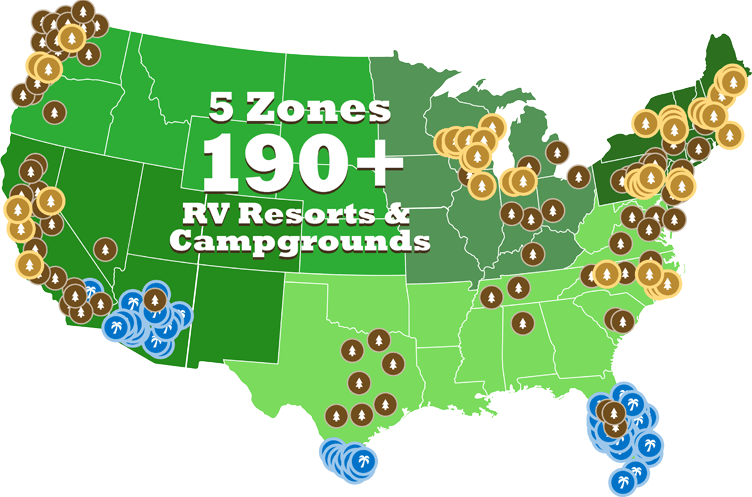 You get to take advantage of the best prices across 5 US states, receive the exclusive Coast to Coast Lifetime Warranty on every New RV purchase, and now you get a one year membership to Thousand Trails camp grounds in 1 zone of your choice. When you visit the thousand trails locations around the US and British Columbia, you get to participate in what used to be a private members only camping organization. Now through Blue Dog RV it’s open to you when you purchase an RV. 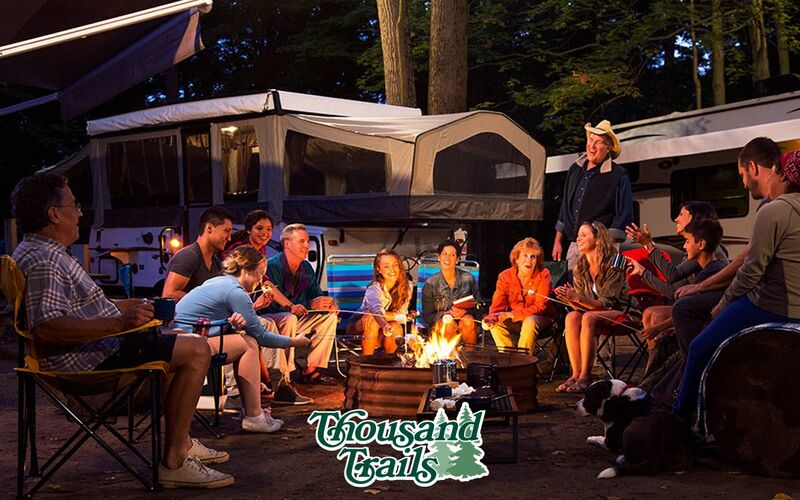 Thousand Trails is the largest and most successful provider of RV resorts and campgrounds in North America with over 5 zones available with 190+ locations in 22 states and British Columbia, Canada. They have created an environment with park rangers, security and safety so you can enjoy the reason you go camping! Family and fun in the great outdoors. Blue Dog RV welcomes this new relationship and relishes the experiences you and your loved ones will have with this new extra value at Blue Dog RV. Call today to set up a VIP appointment at one of our 11 sales locations to sit down and explore the future with us and let’s get you camping!